High Fi’s Inaugural Medical Marijuana Awareness event happens this Sunday. 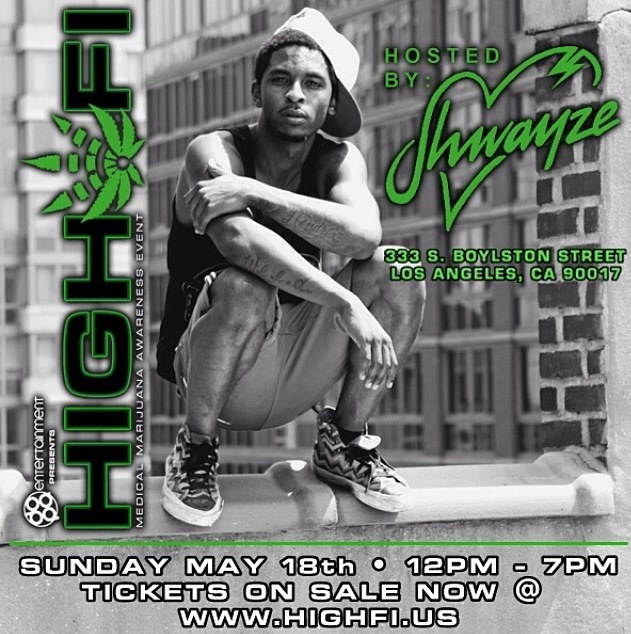 This Sunday, May 18th, High Fi kicks off its Medical Marijuana Awareness event hosted by Shwayze & Pineapple Express.The event has a great line up with performances scheduled by Demrick, Rappin’4-Tay , SKYBLU of LMFAO and many more. Most importantly the event is about educating the public and bringing awareness to the benefits and effectiveness of medical marijuana as an alternative treatment for cancer patients.It’s not too late to grab your tickets. Check out High Fi’s website to get your tickets and the complete line up. Can’t wait… see you Sunday! This entry was posted in EVENTS and tagged 420, CANCER TREATMENT, CLOUD, DEMRICK, LMFAO, Medical Marijuana Awareness Event, SHWAYZE, SKYBLU, SPEEDWEED.